Molly (Pascale Hutton) is a marriage counselor turned fitness instructor. She has a 6 week Bridal Bootcamp where she helps brides look like hotties in their wedding dresses, AND emotionally prepares them for marriage too! She is also super peppy and likable. I dare you to not like her. Double dog dare! Oh you failed? Because it’s impossible, because she’s great. doesn’t know how to read social cues. He also has a CAMERA FOR A FACE! Molly’s boss (Mark Dacascos) covers her spin class so she can go to a former client’s wedding. The trade? She must allow one more student in her newest round of Bridal Bootcamp. No big deal right? While Molly and her sister, Lisa (Leanne Lapp), are trying to find a dress for her to wear to the wedding of her former client, we find out that she has a sparkly skeleton in her closet: a wedding dress preserved like a mummy of a relationship that died 2 years ago. She obviously isn’t over walking down the aisle to an empty alter coughthedressstillhanginginherclosetcough, and she hasn’t dated in a very long time. Her sister winks and says that weddings are a great place to find a guy! 😉 Oh, we’ll see! Best looking mummy I’ve ever seen. The next day at the wedding reception, Molly’s veteran boot camper, Elizabeth, makes her dance with the photographer. leave the party to walk in the moonlight while Lifehouse’s gritty vocal wraps them in a hug. Nick also casually says that a wedding photographer and a bridal bootcamp instructor are a match made in heaven. He thinks it’d be great if they got together for coffee (wink wink amirite?) to see if they can cross promote. Sounds like an excuse for a date to me! And to Molly because she floats back home swooning over the moon and gushes to her sister about Nick. Told you that Nick doesn’t know how to read social cues. Poor Molly doesn’t hide her disappointment well. Like not even medium-well. This is definitely a medium-rare steak of a reaction. Nick can tell something is off, and like a mature adult (who is also a kick boxing marriage counselor) Molly shares with Nick that she is thrown off because she thought he was single. And Nick is like Huh, I guess I didn’t realize that saying we’re a match made in heaven and slow dancing with you and walking with you in the moonlight and asking if we could get together to talk about our business would make you think that I was diggin’ that bod. Huh, how strange! Molly decides that she’ll only have to see him during the couples classes, so it’ll be okay. But no. Nick has been hired to take pictures for the gym. And apparently will be there for weeks. I should definitely mention that Molly’s sister, Lisa, is getting married in 6 weeks and that she is her Maid of Honor. I should also definitely mention that Lisa has a ponytail fiancé. And that she’s taking Bridal Bootcamp. And that I like her a lot. And that she found her PERFECT DRESS. Now I must introduce you to Nick’s fiancée, Jenna (Anna Van Hooft). Jenna is obsessed with her wedding being #1. The winner. The champ. The GOAT. More specifically making sure her wedding is better than her sister’s. She’s so obsessed with this that she announced her engagement to Nick at her sister’s wedding when he hadn’t even proposed yet. See, now, I’m competitive. I just fractured my tibia trying too hard to win at Spike Ball at a very relaxed Memorial Day party which made me cuss in front of my friends from Bible study. I’m that competitive and even I think Jenna is way over the top. How Jenna is basically an extra in The Nick & Molly Show. During the sharing exercise, Jenna runs off to have a phone call about getting an interview for Nick at her dad’s company. She wants him to be more than a photographer. This is not something he wants. Because of this, Molly must step in as Nick’s partner. They just gaze at each other with the heart eyed emoji stamped all over their faces. Watch out Jenna, your perfect wedding seems to be in jeopardy. Jenna is turning into a monster, stomping through a miniature town of wedding cake toppers like Godzilla in a wedding dress. Except she’s just wearing street clothes because she cannot find her perfect dress. That is until she sees Lisa’s dress hanging on a rack of dresses that need to be altered. She immediately starts foaming at the mouth. The saleswoman tells her that it’s sold and one of a kind, and Jenna leaves in hysterics. One day, Molly’s boss asks her to take Nick’s tablet to him. She snoops through his pictures and sees some of his personal photography. They make her eyes sparkle and she falls for him even more. He asks her: if you would’ve known you and your ex-fiancé had issues before the wedding, would’ve you called it off or tried to work on it? Molly, a good person, tells him that she would’ve worked on it. Nick has lots of thinking to do. Guess what? Jenna steals Lisa’s dress–without knowing it is Lisa’s. She goes back to the wedding dress shop just to gaze at it longingly. A new saleswoman doesn’t realize it has been sold, and asks if she would like to buy it. Jenna’s eyes fully dilate and she howls at the moon and yells DO YOU ACCEPT MASTERCARD!?!? She then puts it on a dress form and displays it in her kitchen and cooks meals for it and writes it poems and discusses the intricate hierarchy of the Real Housewives of Beverly Hills’ cast members. Long story short: I don’t know if competitive accurately describes Jenna anymore. no, omg! ur cute! omg, stop it! ur the best! no, u hang up first! Nick doesn’t like who this wedding is making his fiancée. He also doesn’t like that she’s trying to push him into a job that he doesn’t want. He tells her that he needs to think about their relationship. Lisa finds out her dress was sold out from under her! Jenna’s like oh no maybe I did something wrong! Nick makes her return it! Lisa, Molly, and a lot of the girls catch Jenna trying to return the dress! Jenna runs off without apologizing. I’ve never seen The Sopranos, but I feel like this is probably what it’s like. Molly runs after Jenna to talk to her about what just happened. Jenna confides in her that she wants her wedding to be perfect to try to mask the fact that her relationship isn’t. Because all is good in Hallmark Land, Molly donates her old wedding dress to a thrift shop. Jenna and Nick mutually and happily end their engagement. Jenna actually seems pretty normal without a wedding on the brain. Nick lets himself realize his true feelings for Molly. Nick shows up to Lisa’s wedding to her now ponytail-less man (did he ever have one? Was it all a dream?) to tell Molly he lurves her. They dance to Lifehouse again. They flirt. They kiss. They’re getting a sequel. I rate The Perfect Bride Silently and Quickly Side Eyeing the Wedding Guest Who Had the Audacity to Wear White to Your Wedding which is a 4.5/5 on my scale of Bridezilla Meltdowns!!!! Whoohoo! Leaving your partner at the alter because they were breathing wrong. Throwing a cake topper at the caterer because you counted 149 sugar flowers on the cake instead of 150. Unplugging the DJ equipment because they played I Love Rock n’ Roll even though you put it on the DO NOT PLAY list. Passive aggressively making a joke about the wedding guest who has the audacity to wear white to your wedding. Pascale Hutton and Kavan Smith’s chemistry is electric. Like it’s almost not even fair. Their interactions are so comfortable and believable, and you can tell that they genuinely get along. Because of that, it is so relaxing to watch them on screen together. 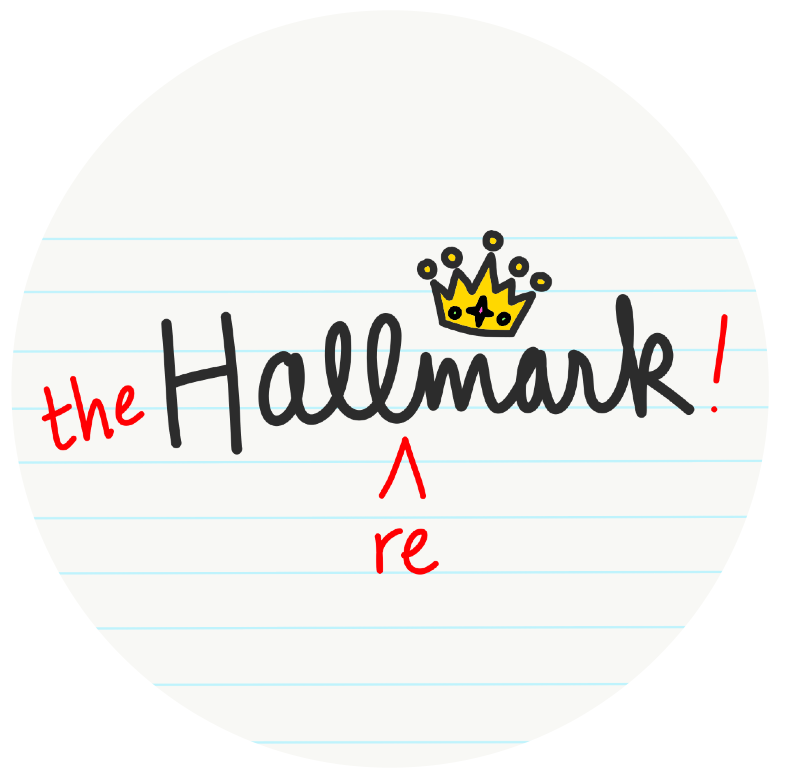 And that is exactly what I want when I’m watching Hallmark. Relaxation. Also, whoever had the idea to cast Pascale as a trainer deserves an award. Also, I’m so excited for this sequel. Also, I’m so curious about what happened to Lisa’s dude’s ponytail. Also, good job everyone! This movie is great! Your writing is hilarious, love the lists and especially the captions. Thanks for your blog & greetings from Finland! Aw, I’m so glad you enjoy it. Thank you for reading!